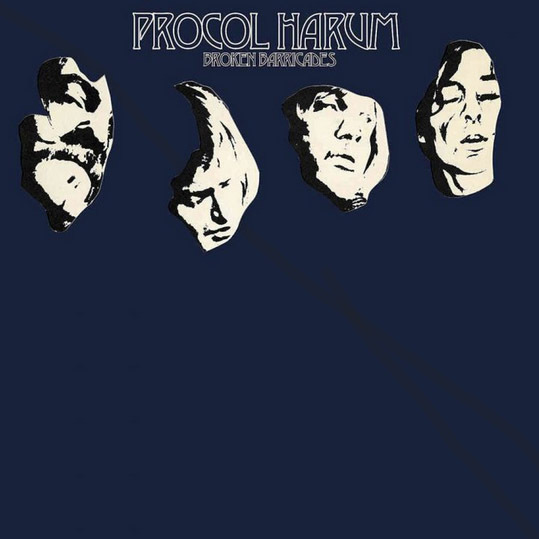 Esoteric Recordings is pleased to announce the release of a re-mastered and expanded 3 CD clamshell box edition of the classic 1971 album by Procol Harum; “Broken Barricades”. Featuring a line-up of Gary Brooker (vocals, piano), Chris Copping (organ, bass guitar), Robin Trower (guitar, vocals) and BJ Wilson (drums) “Broken Barricades” was issued in June 1971 and was the band’s fifth album. It also saw the departure of Robin Trower from the group a month after its release. An album of diverse styles, “Broken Barricades” featured such fine tracks as ‘Simple Sister’, ‘Memorial Drive’, ‘Luskus Delph’, ‘Song for a Dreamer’, ‘Power Failure’ and the album’s title track and was a Top Fifty hit in both Europe and the USA. This expanded edition of the album has been newly re-mastered and features 36 bonus tracks (32 of which are previously unreleased). They include the complete previously unreleased live concert for WPLJ FM in New York City from April 1971, (one of the last live recordings to feature Robin Trower in the band), the entire session for the BBC Radio One show “Sounds of the 70s” from October 1971 and a previously unreleased Swedish radio concert in Stockholm, also from October 1971. The release features a lavishly illustrated booklet featuring material from Gary Brooker’s personal archive and an essay by Procol Harum authority Roland Clare featuring exclusive commentary by Gary Brooker, Robin Trower and Keith Reid.